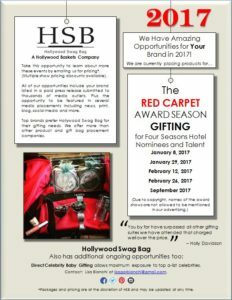 Your 2017 Hollywood Swag Bag Gifting Opportunities are Here! Bachelor couple Sean Lowe and Catherine Giudici Lowe welcomed their first child, son Samuel Thomas. 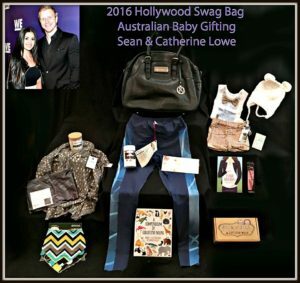 Hollywood Swag Bag is excited to gift the happy family this gorgeous gift of Australian and US brands! Thank you to all who took part. Hollywood Swag Bag Helps Welcome Alanis Morrisette’s New Daughter, Onyx Solace, with Baby Basket! 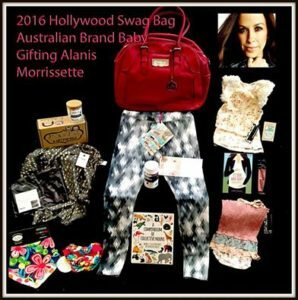 Alanis Morrisette welcomed a daughter, Onyx Solace Morissette- Hollywood Swag Bag is excited to have gifting the family this gorgeous gift from all of our amazing Australian and US brands. Thank you to all who took part.